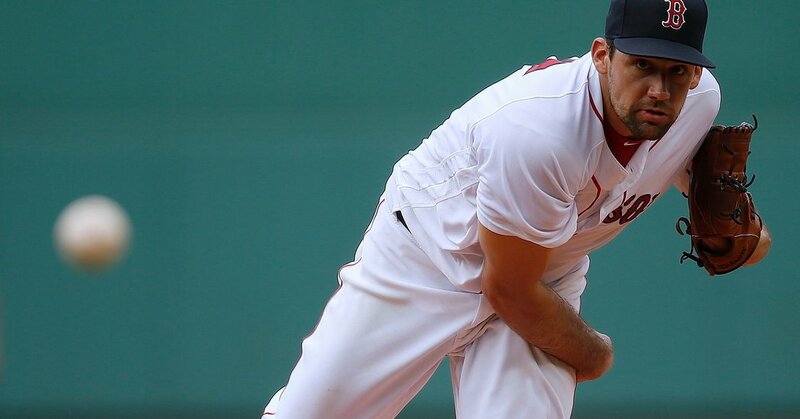 BOSTON — When the Yankees acquired Nathan Eovaldi nearly four years ago, they were making a bet: that a young pitcher with a 100 mile-per-hour fastball and a favorable contract would find a way to flourish. On Saturday, they got front-row confirmation that they were right. Unfortunately, for the Yankees, Eovaldi was not pitching for them, but against them. He delivered eight shutout innings on Saturday to carry the Boston Red Sox to a 4-1 victory, which was assured only after a tense ninth inning when a jittery Craig Kimbrel retired Greg Bird on a fly ball with the bases loaded to end the game. It was the Yankees’ third consecutive loss in this series at Fenway Park, and it dropped them to a season-high eight and a half games behind the Red Sox in the American League East — a deficit that despite the sunny-side-up pronouncements of Manager Aaron Boone is beginning to become daunting. The Yankees will start Masahiro Tanaka against David Price on Sunday night, hoping to avoid a sweep. To do so, they will need their offense to reawaken. The Yankees managed only two singles and a double against Eovaldi, after being held to one hit by Rick Porcello on Friday night. Eovaldi (5-4) got all the support he needed in the first inning, when Mitch Moreland hit a two-run homer off Chance Adams, who was making his major league debut. Adams, a 23-year-old right-hander, was summoned from Scranton/Wilkes-Barre to replace the recently acquired J.A. Happ, who contracted hand, foot and mouth disease. A converted reliever, Adams pitched credibly through five innings, but it was not enough to match Eovaldi, who turned in his second consecutive dazzling performance since the Red Sox acquired him from Tampa Bay on July 25. He threw seven shutout innings in a 3-0 win over Minnesota last week. Eovaldi walked one, struck out four and — like Porcello — was a paragon of efficiency. His 93rd and final pitch was a front-door cutter that froze Austin Romine for the last out of the eighth inning. “If you can throw your cutter, your slider and pop in 100 whenever you want, it’s going to be an interesting day for hitters,” said Stanton, who had one of the Yankees’ three hits against Eovaldi. There was some symmetry in Saturday’s game for Eovaldi. His last game for the Yankees came here nearly two years ago to the day. He left after 12 pitches with elbow discomfort. It turned out he had a partial tear of the ulnar collateral ligament and the flexor tendon shearing off the bone. Eovaldi, who underwent Tommy John surgery in high school, underwent it again and was released by the Yankees, knowing that he would miss all of the 2017 season. He signed with Tampa Bay and, after an extensive rehabilitation, returned at the end of May. The time off gave Eovaldi the chance to refashion his repertoire — refining a cut fastball that he has begun to lean on heavily and mastering the use of his fastball at the top of the strike zone. Eovaldi, who grew up in Alvin, Tex., also Nolan Ryan’s hometown, has similarly been blessed with a rocket arm. It allowed him to reach the major leagues with the Los Angeles Dodgers when he was 21, even after his elbow surgery. But that meant having to cultivate a complementary pitch while facing major league hitters. It was a slider with the Dodgers, a changeup with the Marlins and a split-fingered fastball with the Yankees — but none of them developed with requisite consistency. After being sent to the bullpen just before the All-Star break two years ago, Eovaldi pestered Yankees pitching coach Larry Rothschild about checking out his cut fastball. Eovaldi returned to the rotation but lasted only five starts before his elbow gave out. But when he began plotting his return, he did not want to forget about the pitch. Rays pitching coach Kyle Snyder showed him a new grip for the pitch, different from his slider grip, and it stuck. In a lukewarm starting pitching market, Eovaldi — a 28-year-old who will be a free agent at the end of the season — opened eyes when he no-hit Oakland for six innings in his season debut on May 30. He followed that by allowing one hit in six innings against Washington and one hit in seven innings against the Mets. The Yankees were among the teams that scouted him. Eovaldi said he tried not to pay too much heed to trade reports, but he did acknowledge a degree of excitement when he heard the Yankees were looking at him. But Eovaldi landed in a perfect place. He is pitching for the best team in baseball, one with serious World Series ambitions, and quickly making a difference — just as the Yankees imagined he would one day. An earlier version of this article misstated the Yankees’ hitting performance against Nathan Eovaldi. They got a double and two singles, not three singles.